I’ve decided to officially post Nightmarish Reaction (Volume 3) on WordPress and DA. 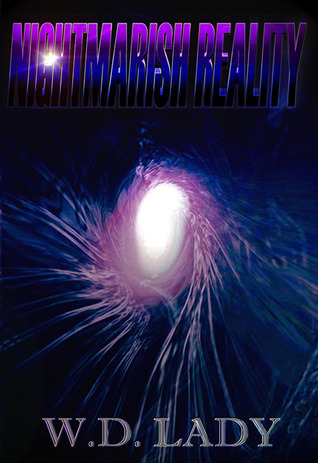 If you haven’t read both Nightmarish Reality (Vol. 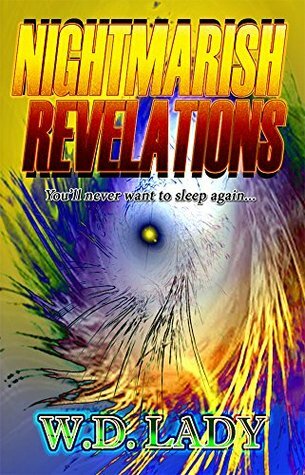 1) and Nightmarish Revelations (Vol. 2), you can always buy my books on Amazon. They will be up there for all time. Please read them for yourself, before continuing any further. Be warned. If you decide to carry on, you will be very confused. There will be no chapter numbers whatsoever. I will try to post once or twice a week. These chapters may jump around a lot, since nothing is set in stone. Please bear with me if you see any spelling and grammatical errors. If I ever decide to publish, I’ll go back and revise everything. Unfortunately, I just don’t have the time right now. I’m doing this for my beloved readers/fans. Maybe for myself as well, so I can get back in the habit of writing again. Feel free to comment on anything you like. Please DO NOT send me harassing comments/emails asking me when I’ll be publishing NR3 or if I’ll finish the series. I DO NOT know when I’ll publish Nightmarish Reaction. Maybe in the next few years or maybe never. If you spam me to read/edit your story, I will ignore you completely. I DO NOT have the time to read nor edit anyone’s story. I only posted this, because I felt bad that I wasn’t able to finish it. To my readers, who’ve bought and read the previous two novels, I’d like to thank you from the bottom of my heart. If you would like to know what happens next in the series, please continue. I haven’t made up my mind whether I’ll post the entire story or half of it. We’ll see how it goes. This book contains graphic and disturbing scenes. Content may be controversial in nature and may not be appropriate for younger readers; therefore, you must be eighteen or older. Point of views made by the characters in this story does not reflect the sole views of the author. The author and the publishing company shall have neither liability. 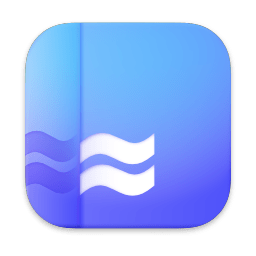 Nor responsibility to any person or entity for any loss, damage caused or actions caused, or alleged to have been caused directly or indirectly, by the content contained in this book. All rights are reserved. No part of this publication may be reproduced in any form or by any means (electronically, mechanically, photocopied, recorded, or otherwise) without the prior written permission of the copyright owner. Its brown and slender, swift legs ran through the bushes as it fled. Its feet leaped over small ponds with such ease, avoiding the water altogether as it ran deep into the swamps. A loud gunshot erupted from the trees. Nosh poked his head out of the underbrush and saw the white-tailed deer immediately go down on all fours. His brown Fedora hat and camouflage coat helped him blend in with the dry environment. As a skilled hunter, he had made a fine kill today; Nosh removed his hat and fanned himself with it. The heat was thick as a dense fog. Even at his age, his eyesight was still sharp as any old hawk and fast were his reflexes, for he had noticed the white-tailed deer prancing in front of his path. Something had spooked the animal out of its hiding place. Slowly, he crept toward his most beloved prize. The shotgun was still loaded and posed in both hands, ready to fire again. Nosh knelt down. He lowered the shotgun, crouching on his hands and knees to get a closer look of his kill. A stain of blood dripped from the doe’s chest. One bullet went straight to the heart and killed it instantly. Born a Seminole Indian, Nosh had lived most of his adult life in Southern Florida with his family, far away from the Indian Reservation and his tribe. Whether it was his tradition or not, Nosh respected all life on the planet. Before cutting up his kill, he thanked the ancient spirits for his good fortune. Nosh spoke in his native tongue, Mikasuki, which originated from the Eastern Muskogean family languages. He also knew Creek due to his life on the Indian Reservation, during his brief childhood. Using a military knife, Nosh cut through the skin and peeled the flesh off the young doe. He detached two leg thighs, the heart, liver, and a few ribs. He learned how to do this quickly from his father and grandfather, knowing all the techniques without making such a mess, despite the blood on his hands. He took out a large, brown wool sack from out of his backpack, stuffing all the meats inside it. Nosh held onto his shotgun in his right hand and took only what he could carry; he heaved the sack over his broad shoulders. Nosh left the rest of the carcass for the other predators in the forest to feast on. He did this as a peace offering to the ancient spirits. When he was younger, he could lug so much meat for himself and his family. But now he was an old man, Nosh wasn’t as strong as before. His hands ached more so than ever due to the Arthritis pain, and so did his back; he could still hold a shotgun in his grip, but not for very long. Since he used the best parts of the deer, there would be enough food to last him for at least two weeks tops. After his wife died many years ago and his children now old enough to raise their own families, he lived alone. Times were getting tough in this economy and money was tighter than ever, especially for his little grocery store, Poppa’s Shop. So, Nosh did what he could and spent his days hunting deer, since he had a gun permit. During every hunting season he’d save a little money on the meat. He wouldn’t have to buy at the local groceries and Samuel, his best friend, often offered fresh vegetables from his home garden. He saved a lot of money just thinking wisely and living the good, simple life. As Nosh carefully stepped over fallen tree branches that crackled under his feet, he suddenly came to a stop. The wind had died down and he felt an icy chill run up his leg. Nosh stared directly at his heavy boots, only yards away from a reddish thorn bush. He lifted his right foot and took one step back. The man had come across a forbidden landscape full of thorn bushes; Nosh heard no chirping of birds above him in the trees, which was unusual. His ears listened closely for any signs of trouble. There were no buzzing of insects, no sounds of frogs and no crickets. Nothing, but dead silence. Nosh clutched tightly to the brown sack of meat and retraced his steps, backing away calmly. He made sure not to step on any of the reddish plant life––it was foreign in his eyes. When the man had some distance between him and the misshaped thorn bushes, he sighed in relief. Nosh envisioned himself back at the Indian Reservation as a young boy. He sat by the camp fire and listened to his father’s deep voice. Hearing his father speak in the Mikasuki language, Nosh would often close his eyes and imagine how his ancestors used to live. However, this tale was different than all the others, for his father had a way of explaining certain events in simple terms that only he could understand. Sometimes, fear would show itself deep within his eyes; it warned Nosh that this was no mystical folktale. “My Micco…” Nokosi said, before he paused to gaze at the stars above. His long, black braided hair had a tint of gray as the moonlight hit his shoulders; Nokosi returned his attention to the fire that crackled and popped beside him. The flames seemed to taunt him, dancing before his eyes in quick rapid movements. Nokosi took a deep breath and then stared at his large, swollen hands, now wrinkled and aged over time. His hands trembled slightly as he held them near the fire, seeking the warmth of the flames. Nosh remembered how he hated hearing his real name spoken out, even though it was his birth name. At the time of his youth, Nosh didn’t protest to being called ‘chief’ in public. Until, he married his wife who spoke three languages, Mikasuki, Creek, and Algonquian. She eventually nicknamed him Nosh, meaning ‘father,’ after their first daughter was born. Nosh preferred his new name over his real one, and had wished from the start that Nokosi, his father, had passed down a stronger title onto him. Nokosi’s name symbolized the power and spirit of the bear, and that was a true name for a man, Nosh thought. “Blood red?” Nosh asked with such keen interest. Nokosi talked about the ancient curse and how the swamps there had an evil spirit after the young girl’s disappearance. Eventually, the tale grew widespread, and over the years it had evolved and changed. Some of the peaceful Christian settlers, who had lived in the Everglades side-by-side with the Seminole Indians, believed it was an evil witch. Her tragic and untimely death had withered the land, since her body was never found. Rumors and fear among the villagers had overtaken local towns as more people, who wandered into the swamp, vanished without a single trace. Darkness covered the town and drove the local residents out. Nokosi believed that the superstitions had become rampant like a deadly disease. What people couldn’t understand, they feared. It was soon blamed on the Seminole tribes. Nokosi mentioned that since the settlers couldn’t locate and properly dispose of the alleged witch’s remains, they soon gave up their search in vain. And so never having a Christian burial, her evil soul was left to wander the swamps, forever haunting those who crossed into her territory. This cursed land was called the House of Red Thorns. Nosh didn’t know what to believe in, but he was smart enough to heed his father’s tale. The House of Red Thorns was a part of the swamp that had the deadliest reputation, for it was deep in the Everglades, an uncharted area that no man dared entered. No explorer would venture in this unnatural terrain, because of its dark aura. Nosh’s tribe knew the House of Red Thorns had taken the lives of many young Indians, many of whom were hunters. Those brave souls might have accidentally followed a deer too far into the red underbrush and had gotten lost. Forever. Trapped for all time. The swamp was no stranger to even naive Christian settlers, who trespassed over the border for centuries. Any traveler who entered there would never return––they’d find themselves stuck in a sinking black sandpit. At first, settlers had named it the Valley of Thorns, except that Florida had no valleys, for it was the flattest terrain ever. The old name had gave the impression that it was less threatening. Some daredevils believed it was just a walk in a park. When the truth eventually came out, by those who were lucky enough to survive the horrors, there were stories of giant thorns wrapping around trees. That the vines choked the life out of anything in its path. Nosh gazed at the dead, wilting tree branches that looked like claws reaching outwards for him. He remembered the old wise shaman tales his father once told him on the Indian Reservation. These were ancient stories passed down from generation to the next. From his father, and to his children and so forth. They had been handed down unto him. His father, Nokosi, told him about the existence of ancestral beings; many of them were heroic, legendary warriors. Then there were others, who suffered great tragedies. This was how the House of Red Thorns thrived. It fed off the suffering and pain of others. Nosh recalled that the red thorns grew very quickly that they blocked out the sunlight. There were no flowers in the House of Red Thorns. No green plant life and certainly no wildlife could survive there. The images of Nosh’s father slowly faded away and so too did the fire as if everything he’d seen was just a mirage. The heat around Nosh, however, did not dissipate. Nosh saw the reddish thorns far away from him; he wiped his brow, relieved he hadn’t crossed that invisible border. If he had stepped over with one foot, he actually believed he’d be dead by now. That’s how real his father’s warnings were to him. The fear kept people at bay and there was a good reason why. If Nosh had continued walking he’d be in another dimension by now, a dark void of oblivion. Even in broad daylight, it was pitch black in the House of Red Thorns. Nosh had seen it for himself. He saw how the thorns wrapped around every living thing. The deer carcass was gone. Why did the vines wrap itself onto everything? As a whole they somewhat resembled a cottage, hence the name. Nosh decided it was best to stay clear from this area, for only the ancient spirits knew what real dangers lay in that forbidden black hole. Nosh had an abrupt thought. He hadn’t seen Samuel Gates in quite some time. He missed talking to his old friend; as Nosh walked in the opposite direction he heard the distant howl of the wind, calling out to him. A sorrowful voice echoed from that eerie place. Nosh ignored it, for he knew how the House of Red Thorns lured its victims, those weak-minded fools. Many of them had went willingly into its gaping jaws of death.